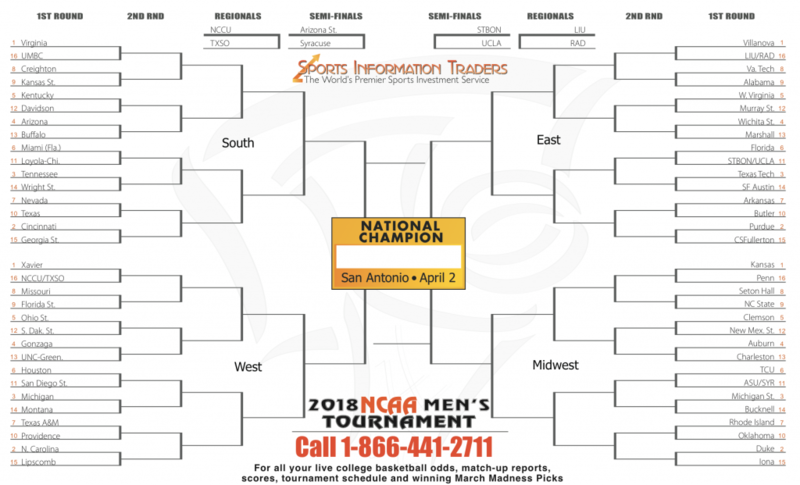 Looking for winning betting picks for each round of the 2018 March Madness Tournament? Well than look no further than the top documented sports service in the country. Last year for the 2017 March Madness picks and service plays we delivered to our private play clients as they turned a profit of over $15,000 in less than a month for those who bet a nickel a game based on our unit system. This year we have a lot of interesting information and service plays that will help you profit whether it’s from your office pool, a friendly bracket contest, or just trying to beat the bookmakers in Las Vegas, Nevada with our helpful incite and betting information tips to get you to make money this year.